Expats have settled all over Belize, but one spot is starting to earn lots of attention lately… Corozal, the northernmost of Belize’s six districts. It has the second-largest population of the districts with about 35,000 people and shares the border with Mexico. Once considered the undiscovered gem of Belize, this district and its tidy little capital of Corozal Town are quickly rising on the radar of foreign retirees and other expats, and there are lots of reasons why. One big reason is that it’s generally less expensive to live here than are other areas of Belize. In large part this is because of that border we mentioned with Mexico… the city of Chetumal, Mexico, is just on the other side. Since Belize has little domestic manufacturing and relatively high duties on imported goods, shopping trips to Chetumal — to Sam’s Club and other big-box stores and supermarkets — help Corozal residents beat the higher prices on imported goods paid by folks elsewhere in Belize. 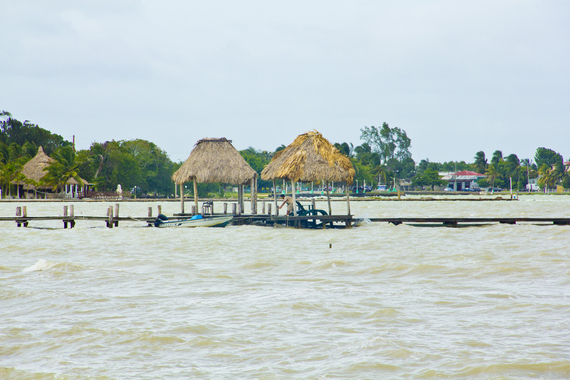 Chetumal is also where most in Belize go for medical care from an excellent, modern hospital. But there’s also a small and efficient public hospital in Corozal Town, fine for most general medical needs. Real estate in Corozal is also less expensive than other places in Belize because Corozal doesn’t have the notoriety of more popular destinations like Ambergris Caye or Placencia. Deals still abound in Corozal for raw land, single-family homes, and residential developments. Another plus is that this part of Belize gets less rainfall than the rest of the country, a big benefit for fans of dry, sunny days. History has a lot to do with today’s culture and economy. Corozal town was founded in 1848 by refugees from the Maya Indian uprising against the Spanish in Mexico’s Yucatan peninsula, just to the north. Known as the “caste wars,” this uprising began as a Maya war against the Spanish, but the Maya also turned their wrath on the mixed Spanish and Indian mestizos who had allied with the Spanish. A massacre in Bacalar in Yucatan started the exodus of thousands of mestizos, and by 1856 more than 10,000 refugees had crossed the Rio Hondo into Belize. They not only increased the population of Corozal town, they brought with them a new crop that would become the mainstay of Corozal’s agricultural economy… sugar cane. Today, Spanish is commonly spoken along with English and Creole in Corozal, and there is a rich Maya heritage including several major archeological sites. Happily, Corozal’s past has produced a peaceful, laid-back, small-town culture that makes it especially inviting for expat retirees.